When a new competitor is born, companies better have a game plan ready. Take, for instance, the battle between ESPN and the brand new Fox Sports 1 network. As you may know, ESPN dubs itself, “The Worldwide Leader in Sports” and that is probably true. Until the NBC Sports Network debuted in January of 2012, there wasn’t much of a national network devoted to sports (the old Outdoor Life Network doesn’t count). So when Fox announced a year or so ago that it would launch a 24-hour sports network – Fox Sports 1 – eyebrows were raised around the sports media landscape. The NBC Sports Network has never really challenged ESPN, but Fox Sports 1 said from the get-go that it would be the alternate to ESPN. Sick of the yelling debates on ESPN? Tune to Fox Sports 1, the promotions said. So ESPN had a perception problem. Making matters worse was the fact that ESPN saw a ratings decline in 2013 – making the run up to Fox Sports 1 even more intense for ESPN executives. ESPN publicly commented on its ratings decline, attributing it to the NBA playing a full regular season rather than a lockout-shortened regular season, which confuses me, but oh well. 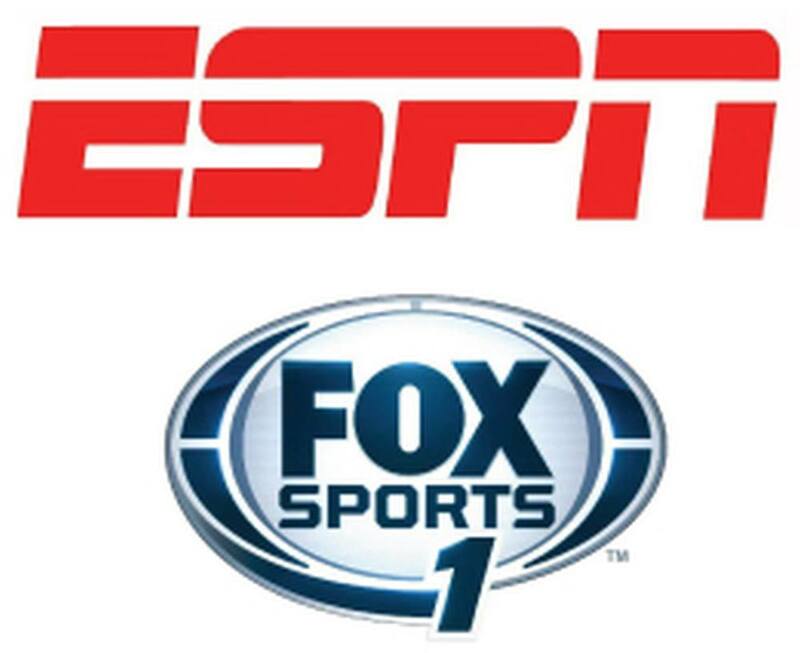 When Fox Sports 1 launched last week, it openly mocked ESPN on its shows. Hey, a Regis Philbin sighting! This is obviously a swipe at ESPN’s widely successful show, “Pardon the Interruption” and put ESPN on the defensive. Here's one more item from Fox Sports 1, which mocks ESPN's obsession with Tim Tebow, a major ratings-grabber. SportsCenter on a nice roll this week. The 11 pm ET show last night delivered a 1.8 overnight rating. Enjoying SportsCenter on my WatchESPN app. Any other live sports I can see on my iPad tonite? That last one refers to Fox Sports 1 not having any kind of online streaming service – at least not yet. So what do you think about all of this? Were Soltys’ tweets – to almost 7,800 followers – needed? Should he have stayed silent? Should he have let ESPN’s dominance speak for itself? After all, ESPN has TV programming, radio programming, online programming, mobile programming, a documentary series and much more. Fox Sports 1 does not. Again, at least not yet. When competitors run an aggressive campaign against you, what do you do? Total Wine and More dubs itself “Costco’s Biggest Nightmare” and it worked, to some extent. I think PR and marketing folks should look at this type of thing on a case-by-case basis. Not all competitor “threats” need a response. If I was ESPN’s PR guy, I wouldn’t remain silent, but I wouldn’t send out passive aggressive tweets, either. Passive aggressive is not a good look for me, or anyone else. Instead, I’d consider a mini ad campaign promoting ESPN’s strengths and value compared to Fox Sports 1, much like Apple did with Microsoft. Remember these commercials?